One tradition of the Winnipeg Whisky Cabinet is to offer the guest an opportunity to chose from the open bottles an ‘appetizer’ whisky to warm up the palate for the evening goodies. 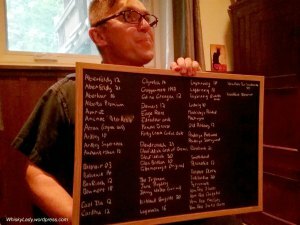 Discontinued distilleries have a certain mystique about them. Even if not brilliant drams, the very fact that what you try today will be gone tomorrow and never to be replaced, adds a certain bittersweet element to the equation. What were some of the impressions from our Cabinet evening? What does the bottle have to say? Light-bodied, this pale gold 21 year old comes from a last golden age at the distillery. Soft, fruity aromas on the nose give way to a delicate, even rose-scented, floral character. The palate is tongue-tingling, clean and fresh, becoming silky with a little water before a soft, flowery sweetness and lemony acidity lead to a round, drying finish. 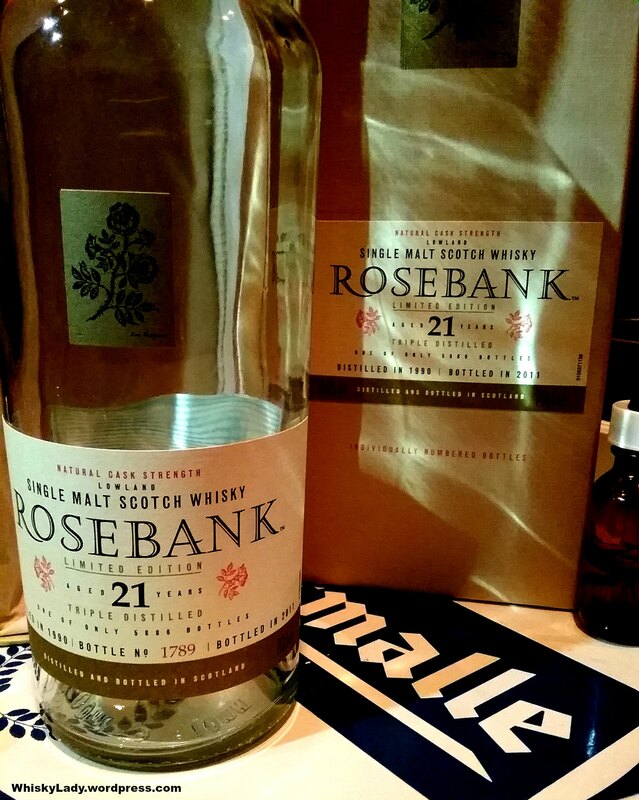 Carissa selected the Rosebank 21 year old, a lowland whisky from a now shuttered distillery. This is a fiery cask strength whisky with the classic lightly herbal and floral lowland profile backed up by a solid malt core. It is not special in that is in no way complex or exciting, but it is special in that the distillery no longer exists. We drained the last few drops from the last bottle we will likely ever have. The sensation was somewhat akin to eating a baby northern white rhino. Just curious, I took a peak at auction prices for this bottle… which are currently averaging around US$650. Far steeper than my whisky indulgence budget so am all the more grateful to have sampled a dram courtesy of the Cabinet. This entry was posted in Lowlands, Scotland and tagged Discontinued distillery, Rosebank, Rosebank 1990, Rosebank 21 year, Winnipeg Whisky Cabinet by Carissa Hickling. Bookmark the permalink.